Easily accessible by the Canal de Bourgogne, the cities of Dijon and Chablis are renowned worldwide for their signature offerings – unmatched mustard and incredible premier cru and grand cru wine. In the Middle Ages, the Romans introduced growing mustard to Dijon and the crop flourished in the area. They soon fashioned their own recipe by grinding the seeds and vinegar together. While this is a far cry from the popular sauce we know and use today, it was how the condiment first originated in the area. In fact, this method was even described by early modern period cookery writer Robert May: ‘Have good seed, pick it and wash it in cold water, drain it and rub it dry in a cloth very clean; then beat it in a mortar with strong wine-vinegar; and being fine beaten, strain it and keep it close covered. Or grind it in a mustard quern or a bowl with a cannon bullet.’ Eventually local Jean Naigeon perfected the recipe by replacing the vinegar with verjuice, the sour juice of unripe grapes, which is the taste we recognise today. The heritage winery that best defines the region’s passion for wine-making is the Domaine Laroche. Its stunning vineyard is great for a relaxing walk through the fresh greenery. While touring their cellars, you can discover the secrets of the Chablis tipple through an interesting tasting session, here you’ll experience the entire process and learn how the wine makes its way from grape to glass. An ideal stop on many popular river boat cruises in France, Chablis is a must-visit haven for every wine lover. Besides the winery, the gorgeous sights of the vineyards themselves offer a peaceful, rejuvenating sanctuary. 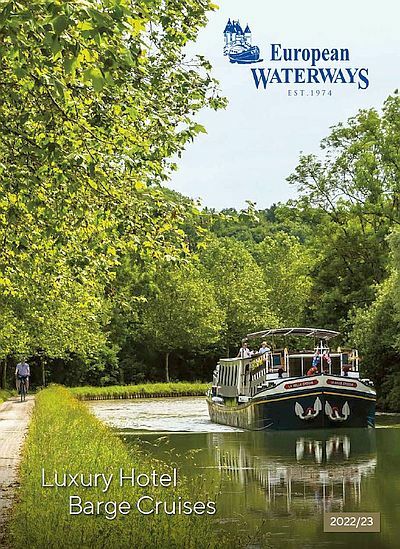 While river boat cruises in France may seem like just a laidback getaway, they are also a great way to discover a plethora of hidden gems in the Burgundy region. You will be able to visit both of the above cities in good time, through a relaxed waterway cruise rather than an exhausting land trip. It also saves you the effort of extensive planning, as you won’t have to worry about finding accommodation or meals for your trip. This makes it a convenient way to visit several towns in the Burgundy region, during the same holiday. Once you get back from your trip, every time you pick up a jar of mustard from your refrigerator, or pour yourself a glass of French wine, you’ll be reminded of the excellent experience of visiting the cities from which they originated.